Despite the moderator's polite prodding, the three leading Democratic candidates for Florida governor expressed few differences Monday on their main issues in next year's election — education, jobs and the economy. 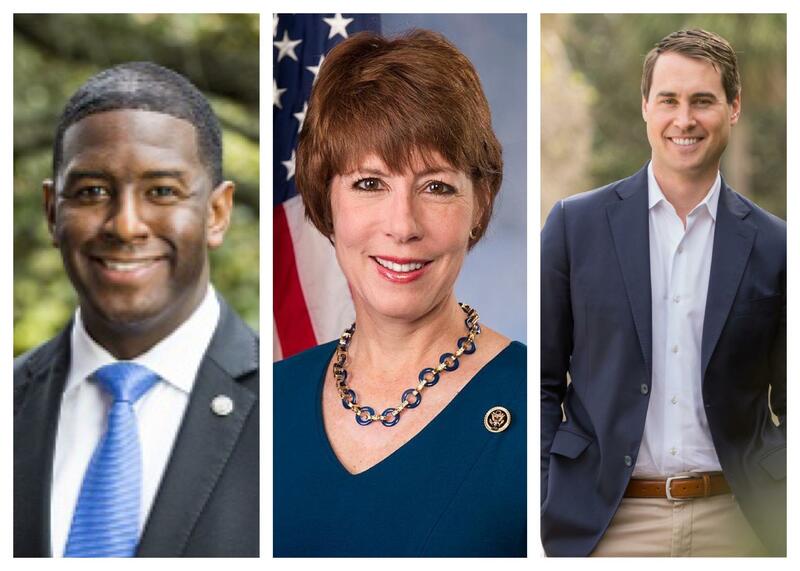 Former U.S. Rep. Gwen Graham, Tallahassee Mayor Andrew Gillum and Orlando businessman Chris King also agreed on what should happen to Confederate monuments on government property — they should be moved to museums where they could be put into historical context and not seen as celebrations of a divided country. "You can probably guess where I stand on this," said Gillum, the only African-American in the field, drawing laughter from the 650 members and guests of the Forum Club of the Palm Beaches, a non-partisan civic affairs group. He said government monuments should honor heroism and greatness that has near-universal acclaim and the Confederate monuments don't have that. "I am greeted at courthouses and in this state, the state house, by Confederate monuments," Gillum said. "You tell yourself as a person of color that they are not talking about you and you don't take time to internalize the messages people are trying to send you with those symbols." 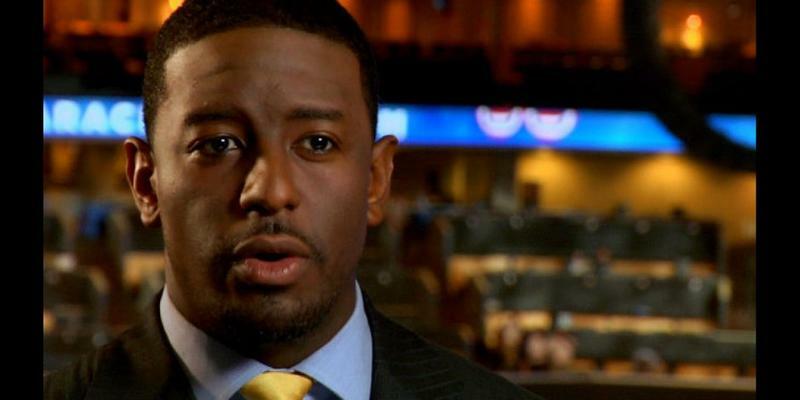 The primary is next August, making the need less urgent for Gillum and King to differentiate themselves immediately from Graham, who has more name recognition. The general election to replace outgoing Republican Gov. Rick Scott is in November 2018. Moderator Michael Williams, a local TV anchor, pushed the trio to express significant differences, calling their previous joint appearances "lovefests." But the three smiled and then gave the same similar criticisms of the Republican-dominated state government that they have been giving for months. They say outgoing Gov. Rick Scott and the Legislature have done little to improve the state's schools or expand its economy beyond tourism, agriculture and construction into fields like high-tech industries and alternative energy that might provide better paying jobs. "As you walk outside, all of these rooftops should be covered with solar panels. We have an opportunity for renewable energy," said Graham, who served one term in Congress from a Panhandle district and is the daughter of former U.S. Sen. Bob Graham. He was also governor from 1979 to 1987. "We have a great tourism industry, we have a great agriculture industry, but we need to be working toward jobs of the future." Graham and Gillum said the state should start spending more on education by not raiding the state's lottery fund, which was supposed to supplement school spending, and pay teachers better. Most studies put Florida's average teacher salary in the bottom quarter of the states. The three all agreed that there should be more and better vocational training available for high school students who don't plan to attend college. One of the trio's few differences came on increasing Florida's $8.10 minimum wage, with Gillum and King calling for it to eventually hit $15 an hour while Graham said it should rise but was non-committal about where it should end up. "What we believe as Democrats is that when we lift up people, it can be good for business," said King, a political newcomer who founded a company that invests in senior and low-income housing developments. He said his company's minimum wage is $15. He said the state's 4.1 percent unemployment rate is a poor indicator of its actual economic health as many of the state's jobs don't pay enough to survive. "Half of those jobs pay less than $15 an hour. So what we are suggesting here is that we are not going to be the minimum wage party," King said. Scott is precluded by the state constitution from seeking a third consecutive four-year term. On the Republican side, Agriculture Commissioner Adam Putnam and state Sen. Jack Latvala have announced their candidacies, while Florida House Speaker Richard Corcoran is considering a bid. The Republicans have won the last five gubernatorial races despite the Democrats having a slight voter registration advantage and the parties splitting Florida's presidential and U.S. Senate races during that time. Updated 10 p.m. to correct Gwen Graham's position on gun control. 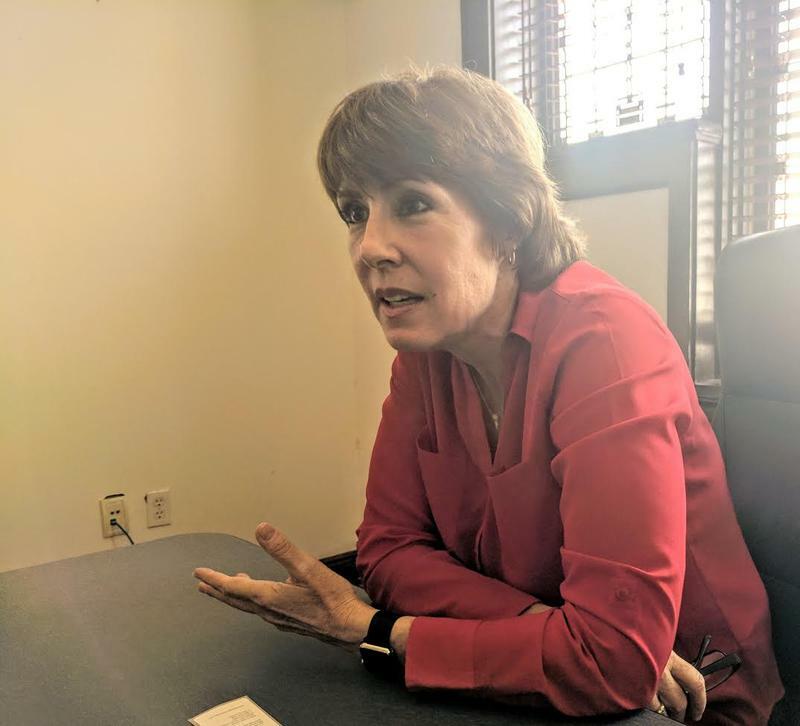 Gubernatorial candidate Gwen Graham channeled her father — former Governor Bob Graham — by participating in a “work day” Wednesday in Jacksonville. State Senator Jack Latvala kicked off his campaign for governor Wednesday with a multi-city tour around the state. He received a warm welcome from his home base in Pinellas County when he gave a speech at the Clearwater Marine Aquarium.